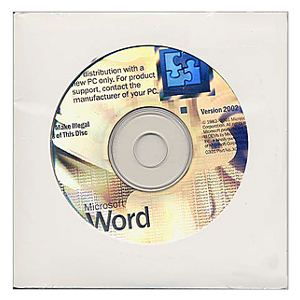 Microsoft Word 2002 gives users the tools they need to streamline the process of creating, sharing, reviewing, and publishing their important documents. Word 2002 makes it easier for users to discover and use existing functionality and provides intelligent new ways for users to work with their documents. Word 2002 now makes it easier for users to share and review documents with others without changing the way they currently work. Discover and use more of the new and existing functionality in the application. New tools such as task panes and smart tags are shared throughout the Microsoft Office suite. Built into Word 2002 is improved technology for working with formatting, styles, bullets, tables of contents, and more. AutoCorrect Options smart tags provide an easy mechanism for users to control and modify automatic behavior that takes place within Word. Undo an automatic correction, choose to not have that correction take place in the future, or access the AutoCorrect Options dialog box. With Name, Address, and Date smart tags, Word 2002 recognizes names, addresses, and dates. When an item is recognized, the user is provided with a smart tag that allows them to obtain additional information from the Web or from other Office applications. Additional smart tags will be available on the Office Update Web site and can be extended by organizations and third parties to offer unique document solutions. Word 2002 now gives users the ability to translate words in their document (available languages are determined by language dictionaries that are installed) or to access a translation service on the Web. This service provides entire document translation as well as additional languages. Word 2002 now increases user productivity by supplementing traditional mouse and keyboard execution with voice commands. Users can dictate text, make direct formatting changes, and navigate menus using speech and voice commands. (Note: Speech is currently available for U.S. English, simplified Chinese, and Japanese.) The Word Count toolbar allows users to easily update the word count in a document without having to go to the Word Count dialog box. Additional improvements in Word Count allow users more flexibility in whether headers and footers are counted in their document!! Includes a Word XP (2002) Edge-to-Edge Hologram OEM CD with a unique unused key number on a generic white sticker for Activation and Registration. Packaged in Slim Jewel Case with Custom Plastic Packaging. Microsoft® 'CD(s) Only' are supplied as 'CD(s) only.' If your intent is to use it as a valid End-User License please obtain your own legal opinions as to the validity. We assume no liability from any consequences arising from your decision. OEM: End-User must purchase with qualifying hardware. Microsoft Exchange, Internet SMTP/POP3, IMAP4, or MAPI-compliant messaging software for e-mail; Microsoft Exchange Server required for certain advanced collaboration functionality in Microsoft Outlook; some Internet functionality may require Internet access via a 14.4 Kbps or greater modem or a high-speed connection, and payment of a separate fee to a service provider; local charges may apply.